Over the next few months, children’s areas in Johnstown, Middleburgh and Schoharie will be transformed into Pictu re Book Cities! 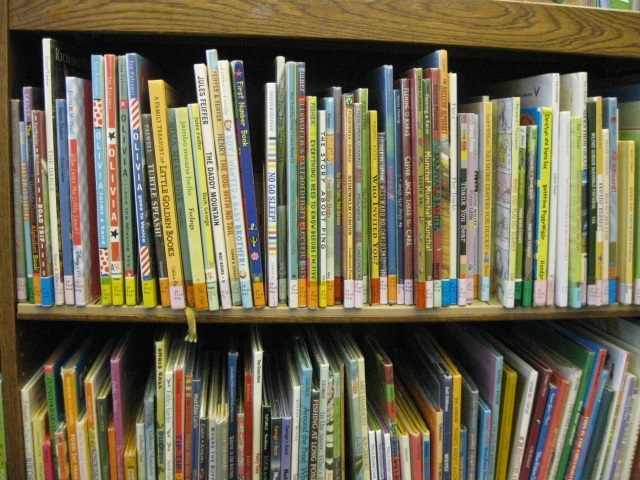 What is a Picture Book City? It’s is a collection of picture books and age-appropriate non-fiction arranged in ‘neighborhoods’ by subject. Color coded labels make it easy to identify books in the same neighborhood. Want books about fairies and princesses? Look for the pink labels. Animals? Head for the light green section. Organizing picture books in this new way helps develop young children’s pre-literacy skills by allowing them to easily find books they are interested in. (It’s great for staff and parents as well. Answering the ever popular “I’m looking for truck books” question has never been easier!) Check out the growing rainbow of color in Johnstown’s children’s room. We’re really excited about this project and thank our pilot libraries for being pioneers!